Create your own 3D animated movie in two minutes! Make Trump and Hillary hug, or Kanye and Kim Kardashian argue. 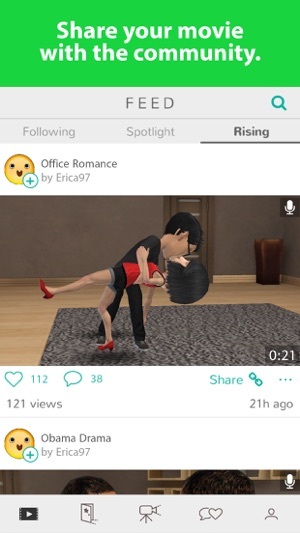 Share your animated video via SMS to friends, or on YouTube or Facebook. 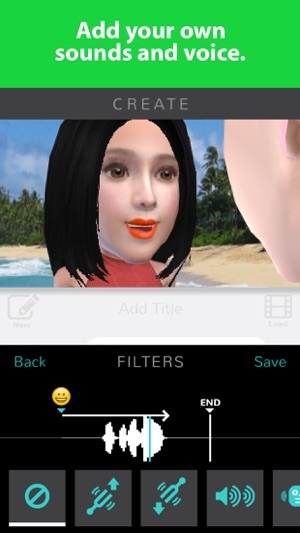 You can put any photo onto an avatar's face: yourself, friends, celebrities. Record your voice to tell your story, with voice filters to adjust the pitch and echo. 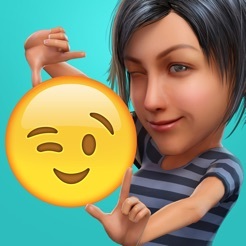 Then use emojis to make the avatars punch, kiss, and dance in 3-D. Your movies can take place on a photo backdrop from your camera gallery, to recreate the scene at your workplace or house. Or use one of our pre-made sets such as rooftop, the moon, beach, or living room. 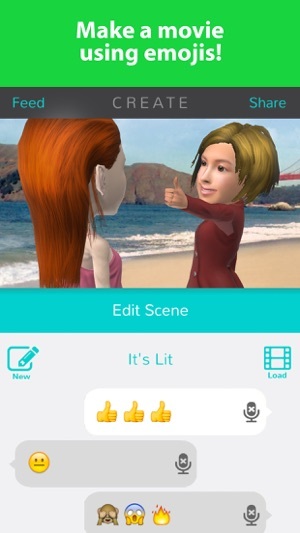 No need to hire actors or travel to a location when you can just make the movie inside Evertoon! 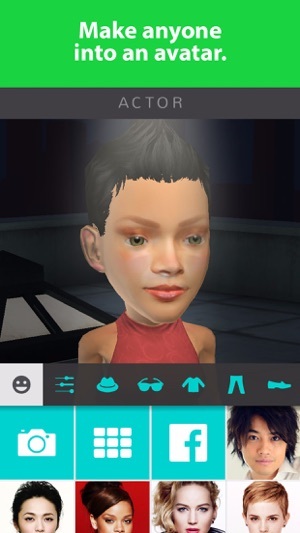 Dress your avatar with sunglasses, bikini, shorts, or a business suit. Try different hairstyles, such as an afro, bob, buzz cut, or bangs. 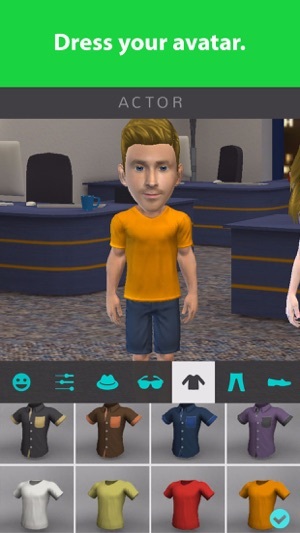 You can also set the avatar's skin to tan, pale, or even blue or red. Take fan fiction to the next level, and convert your stories into movies. Our community is making political, Harry Potter, Twilight, and superhero toons every day. Share your videos using YouTube, Instagram, WhatsApp, or Facebook to become the next viral sensation! We also save your video to your camera photo gallery. This is the ultimate creation tool for comedians or writers. Turn the funny skits in your mind into movies acting out your jokes. Hit comedy gold with Evertoon! - Offline Mode: Evertoon can now be used without an internet connection. - Allow downloading Actors and Sets from the gallery to your device for offline use. - Allow downloading your previously shared videos from the feed. - Adds color swatches to the Clothing UI to allow easier actor customization. - Improve hair coloring so that colors are more visible.